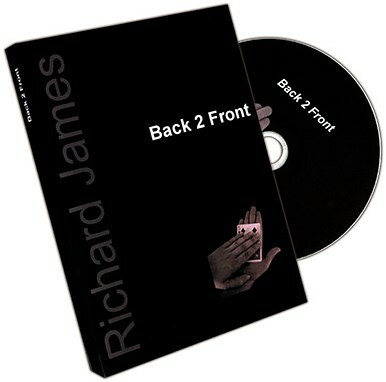 This is one of Richard's personal favorite. 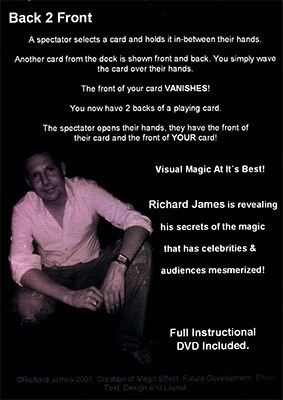 It's strong, Powerful Magic at its very best, as the magic happens in THEIR hands to everyone's total amazement! You simply wave your card over their hands. Turn your card over, you have the back of a card on BOTH SIDES! The spectator opens their hands, they have the front of their card on one side and the front of YOUR card on the other side!